DearMYRTLE's Genealogy Blog: MGP2 - Chapter 4 GPS Element 2: Source Citations YUP! MGP2 - Chapter 4 GPS Element 2: Source Citations YUP! Chapter 4 has got you stumped? 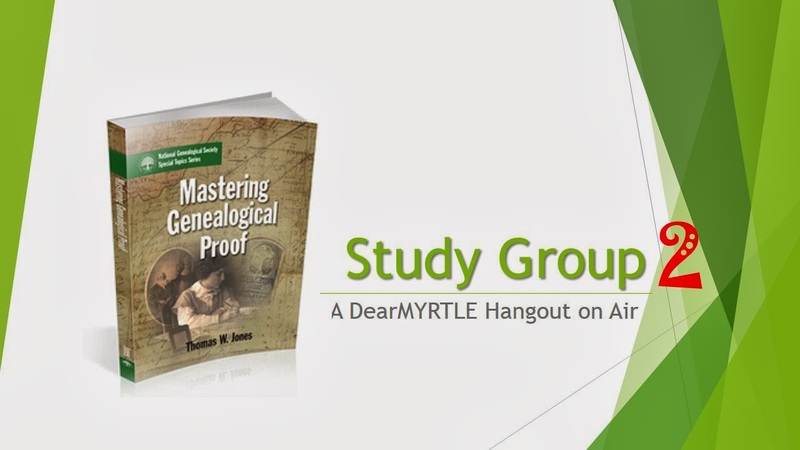 Then head on over to our LIVE Hangout on Air Sunday, 23 March 2014 as we discuss more from Thomas W. Jones' Mastering Genealogical Proof.